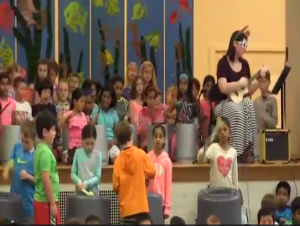 The May school meeting at Armstrong Elementary School had a great deal of excitement for students with both a wonderful musical performance and an interesting presentation on healthy eating. Watch the musical performance here. Watch the healthy eating presentation here.